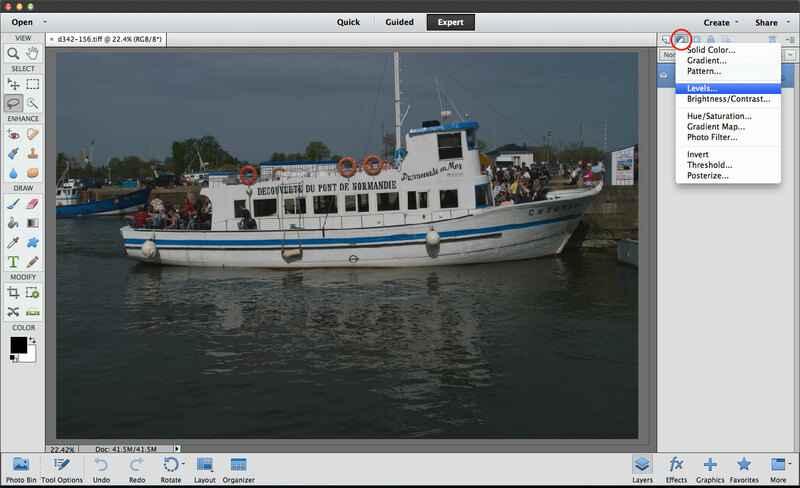 Levels are one of the most basic image adjustments in any image-editor. They’re your first chance to act on the information you get from the image histogram and use adjustments to maximise the tonal range of your picture. 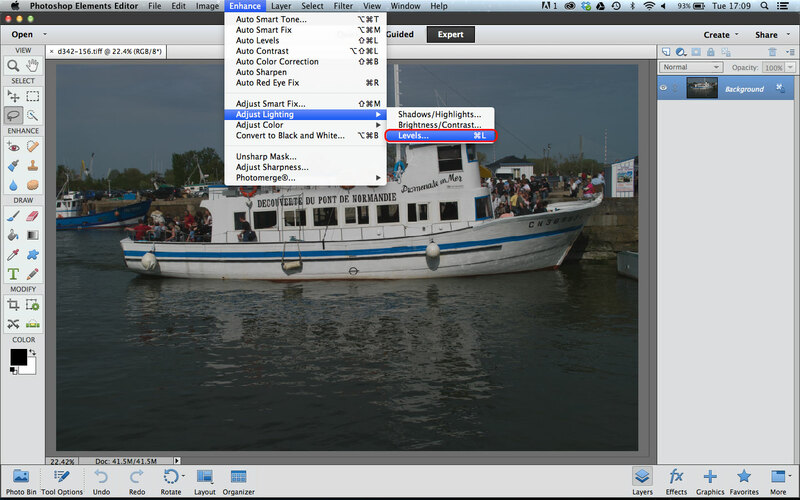 In fact, although the Levels dialog may not offer the advanced image control of curves or other image-editing tools, it’s still the first adjustment you need to check for – and if the Levels need fixing, you should do this before you do anything else. But there’s more to the Elements Levels dialog than meets the eye. You don’t need to be a slave to the histogram, you can correct colours automatically as you work, and you can even change the colour balance to suit the mood of the picture. I’ll use this picture to demonstrate some of the lesser-known facets of the Elements Levels dialog. 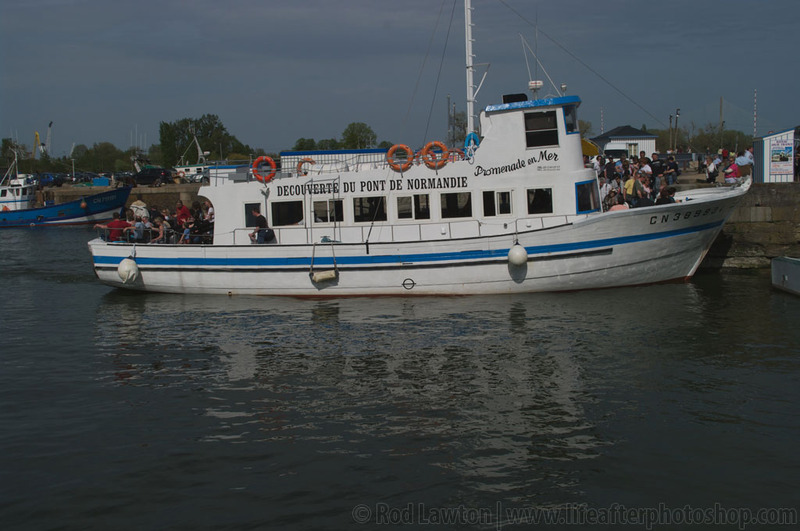 It was taken in Honfleur in Normandy on a Pentax K20D, a brilliant camera but not the best auto white balance control, and a tendency to underexpose. As a result, this vibrant harbour scene has a cold and gloomy look that I want to try to fix. In the past, Levels adjustments were applied directly to the image. You can still do this in Elements using the Enhance > Adjust Lighting > Levels command, but these are old-school ‘destructive’ adjustments which permanently change the pixels in the image. It’s better to use a Levels adjustment layer. You can create a new adjustment layer using this pop-up menu (circled) on the Layers palette.